MobSmash.io | Play MobSmash.io free on iogames.space! New IO game built with the latest HTML5 technology. 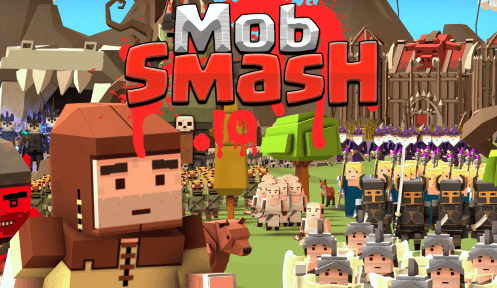 Fight other players and grow your mob strength & size to the top! collect gold from your victories and spend it to upgrade your mob powers or unlock new mobs. Load the game and type your player's name in English. Pick a mob from the main menu. Movement: Hold left click with your mouse. Stop Attacking: Move far away from the enemy. Ultimate Ability: Right click on the mouse. try to avoid other players while your mob size is small. like wild boars & bears (for maximum XP and score points). you will get other players XP, so killing big player mobs is very gold & XP rewarding. TIP: think when to use your ultimate ability, it can decide the course of a battle.